Seniors Anna Wilcox and Lauren Granado, students in Coppell High School’s forensics science teacher Rebecca Wheatley’s class, participated in a Simulated Impaired Driving Experience (SIDE) today. This is the third year of the simulation which is presented in partnership with the Coppell Police Department. Today, students in Coppell High School forensics science teacher Rebecca Wheatley’s classes participated in a Simulated Impaired Driving Experience (SIDE) which was hosted in partnership with the Coppell Police Department in the parking lot behind Buddy Echols Field. The effects of driving while intoxicated were mimicked by students driving a swerving go-kart and during an activity in which students attempted to throw and catch tennis balls wearing goggles distorting their vision. The purpose of the goggles was to replicate the effects of cannabis, opioids and alcohol. “[The students] goal is to get through without hitting anything but very few have done so unless they go slow,” Wheatley said. The students made two laps around the obstacle course which was designated by cones. Cones along the course represented people, a silhouette of a dog, and mailboxes were placed along the way. 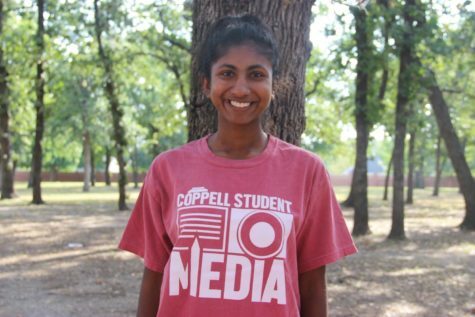 “What we try to do is get them to understand that any type of impairment through intoxication mostly that people are familiar with alcohol or drugs when you are impaired, you do not have normal use of your faculties,” Coppell police officer R.J. Harr said. This is Wheatley’s first year to partner with SIDE. During the simulation, the student drivers went through the course, unimpaired but, the second time, the car was moving back and forth in a swerving motion. 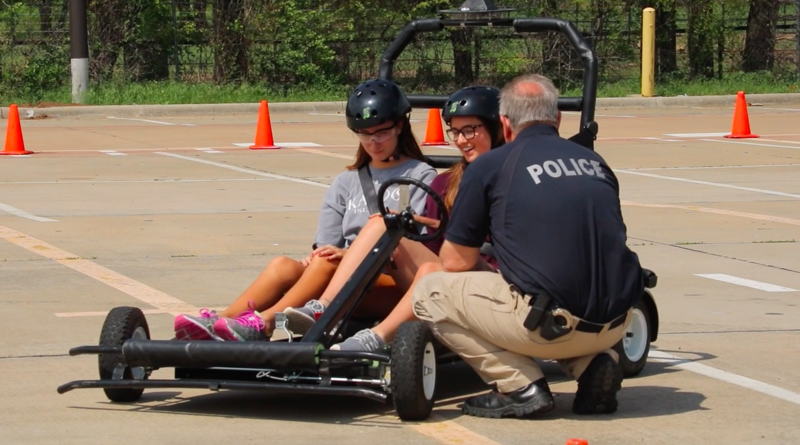 The Coppell Police Department presents this activity several times per year for various CHS classes to educate students about the risks involved with drinking and driving. “The simulation proved what I had already had been taught, drinking and driving isn’t a good thing, it just put it in a perspective about how bad it can be,” senior Emily Evans said. SIDE began three years ago and Harr has been part of the program since its start.